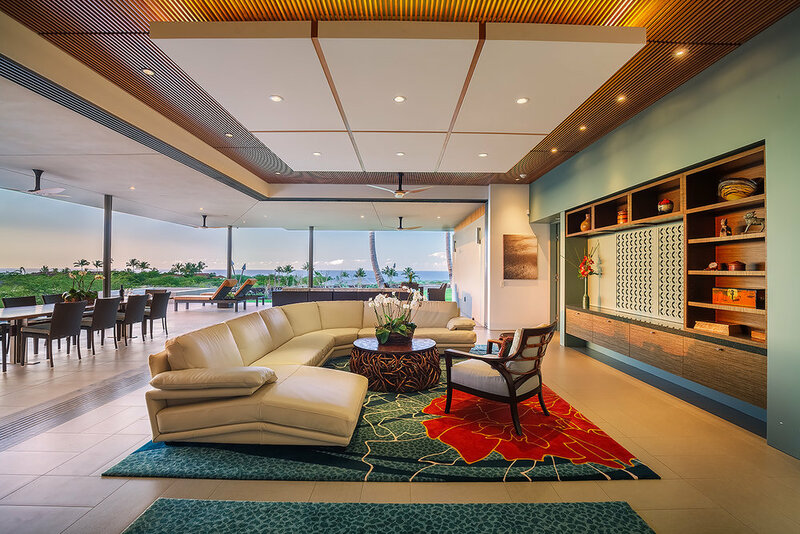 Contemporary and sustainable, this showcase estate resides in one of the world’s most cherished zip codes, offering tropical indoor/outdoor living in traditional Hawaiian style. Naturally inspired design and minimalist landscaping blend seamlessly into the native environment with a light footprint on the land. Perfectly situated to catch trade winds for natural ventilation, the home’s broad over-hanging roof-line provides shade for the expansive lanais. Every room features unobstructed panoramic views and natural lighting, creating a home that is bright and breezy throughout the day, while magical sunsets set the tone for evening entertainment. Located in Kukio’s private Maniniowali community, the home is near the scenic Kua Bay with its clear aquamarine and sapphire-toned waters and large, white sand beach. A lap pool extends off the lanai and a three-car garage allows plenty of storage for “toys” – SUP boards, scuba gear, outrigger canoes, surfboards and more – to enjoy nearby ocean fun. Four separate buildings make up the 6,713 square feet of living space and an added bonus is a temperature-regulated, walk-in wine room for your collection of fine wines. Offered furnished, the home’s finishes and furnishings complement the contemporary, minimalist architectural style. 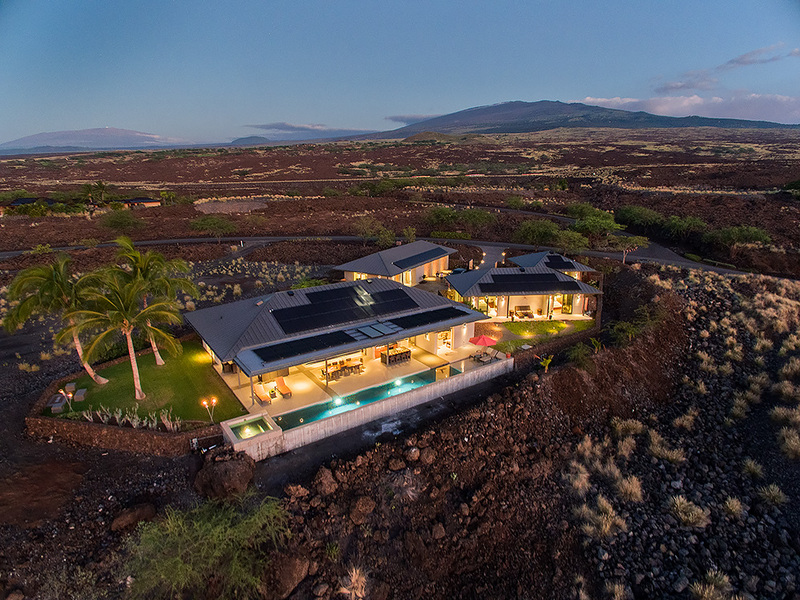 For more information about the auction and this exceptional luxury estate, or for details on additional real estate opportunities, please contact Carrie Nicholson, R (B), BIC, Director of HL1-Big Island.